Check out Elizabeth Searle‘s GIRL HELD IN HOME on The Nervous Breakdown and on Prairie Public Radio. 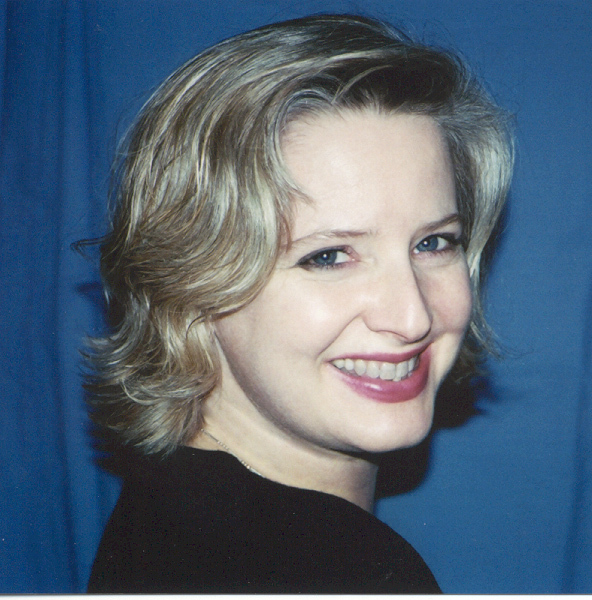 Erica Ferencik is the author of the 2008 satiric novel Cracks in the Foundation, called ‘hilarious’ by Alex Beam of the Boston Globe. 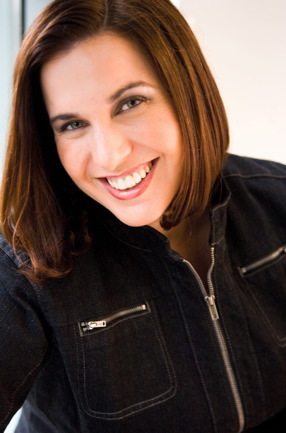 Her work has also been featured in the Boston Globe, Salon, and National Public Radio; and her humor column appears monthly in Metrowest Daily News, a metro Boston newspaper. 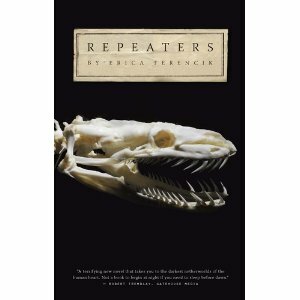 Her supernatural thriller, Repeaters, was released in September, to be swiftly followed in November by Radio My Way, the life story of Boston radio personality Ron Della Chiesa. Visit Erica at Wake Up and Smell the Blog. 1) Elementary School: I feel like I might be different from other kids. While everybody else is running around at recess screaming and laughing and having fun, I like to sit under a tree and write about what I did today, and what I saw, and what I thought about. 2) Junior High: My Advanced Placement English teacher, Mrs. Portnik, told me I have a gift. She says I have a way with words! I do love to read, and to write in my diary every single day. She says I should be a writer. The thing is, she’s a writer, but she doesn’t seem too happy. A lot of times she’s pretty cranky. In fact, every now and then she says she had a “late night,” whatever that means. Anyway, I love words and I’m going to be a writer when I grow up. I’m so excited! 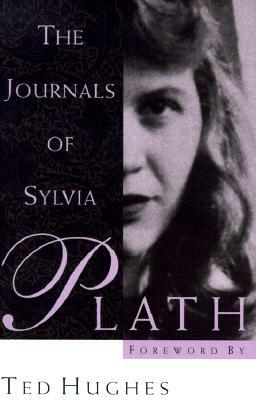 3) College: I’m really getting into Sylvia Plath. Man, she was one dark horse. But I’m not sure I’ve got the poetry gene. I want to be a famous novelist, thank you very much. Trying to convince the parents I can make a living with my writing, but they’re not buying it. They’re all up in my business about doing something “practical.” Sheesh! I wish they would just chill. I’ll work it out. Maybe I could be a writer with a side of what, law? DES Daughter Nominated for 2011 Presidential Citizens Medal! WONDER DRUGscreenwriter Caitlin McCarthy has been nominated for the 2011 Presidential Citizens Medal. Because of Caitlin’s efforts and work with the offices of Senators Kerry and Brown, the FDA finally acknowledged DES as a “tragedy” in 2011 after 40 years. Caitlin also champions DES awareness through her screenwriting, blogging, activism, public speaking, and government/media relations. The Presidential Citizens Medal is the second highest civilian award in the United States, second only to the Presidential Medal of Freedom. The winners will be announced before the end of 2011 — but as they say, it’s an honor to be nominated.